Dr. Carol E. Black has been practicing veterinary medicine for over 30 years. She graduated with honors from the College of Veterinary Medicine at Michigan State University, and she practiced in Michigan and Ohio for 9 years. Dr. Black obtained a Texas Veterinary License in 1993, and has practiced in the East Texas area as a relief doctor, at the Tyler Animal Emergency Clinic, and as an associate at a busy full-service small animal hospital. She is a member of the American Veterinary Medical Association, the Texas Veterinary Medical Association, and the East Texas Veterinary Medical Association. Your pet will enjoy seeing the doctor in our unique environment, and you will enjoy the convenience of our services. 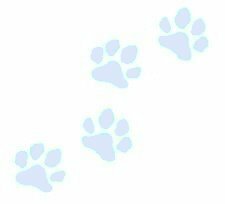 Thank you for visiting the MyVet web site !